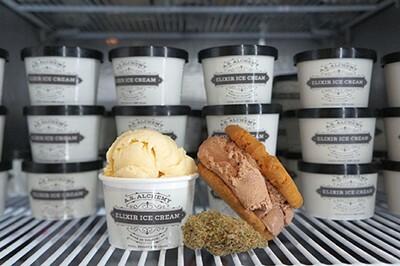 A.S. Alchemy is the company behind Elixir Ice Cream, Tucson's first—and currently only—maker of cannabis-infused ice cream and frozen treats. Two Boots BBQ is like stepping into that classic joint on the side of the road on the outskirts of a Southern town. This Saturday, downtown Tucson's Armory Park will be transformed into an IPA-lovers' paradise at the 2019 Baja Beer Festival. In 2018, word spread that the IBT owners were taking over a small spot just a few doors down with a focus on food. 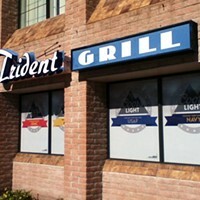 I made my way there when it opened a few months ago with gleeful expectations. The Flores family, of course, have a lot riding on this concept and have quite the reputation to maintain. The SUBSTANCE Coffee Company diner-on-wheels opened in December to serve Tucson classic diner food with a sustainable twist. Proof is the new Italian inspired baby of Grant Kreuger, who just happens to be the proud papa of Union and Reforma as well. I'm sure you're scanning this and wondering why would anyone want to open another pizza joint in a city wrought with pizza joints. The Millers always have an impressive rotation of brews at their three locations, but needed an extension to showcase their habitual purchases of kegs and bottles filled with enticing ales and lagers. It turns out that honey is a lot like wine. Each hive will produce wildly different variations on a common theme, depending on its location, climate and even altitude. When chef Maria Mazon of Boca Tacos traveled to New York to film her episode of Chopped, she brought one very important item that was specially made for her here in Tucson. It was a handcrafted chef knife, one that she describes as "flawless."